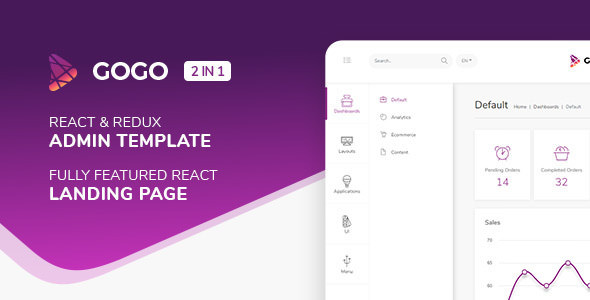 Gogo is a combination of good design, quality code and attention for details. We used React without JQuery as it is meant to be. We used same design language for components, layouts, apps and other parts of the theme.